No, that isn’t a variant on the ‘Go forth and multiply’ imprecation that has occasionally been heard to pass from my lips. It is the acronym so beloved of supermarkets and any number of retail outlets that call to us with their siren’s song of, ‘Buy one, get one free’. It always seems such a great offer until one gets home and wonders just what exactly you are going to do with 16 hot cross buns when the use by date is tomorrow. One may wonder what such marketing techniques have to do with selling houses. Well, the CEO of Countrywide, Alison Platt is of the opinion that the dynamic employed by some of the retail behemoths could and indeed, should be applied to the business of selling property. I don’t think that employing the B.O.G.O.F. sales promotion is quite what she had in mind (unless of course you live in Varteg and then it is a case of ‘needs must’…that’s a joke people-before you lob a brick through my window). What she spoke of was how estate agents could learn from the likes of Tesco due to their being, “customer focussed”. Ok. Firstly, Ms Platt is must be said has a vested interest in the positive promotion of the company founded in 1919 by Jack Cohen. Not least because it was announced this week that she is to join the board of Tesco as a non-executive director. Those of us who have been clinging onto the property merry go round for the past decade may remember that in 2007, Tesco launched Tesco Property Market. This encouraged vendors to market their own homes without using a traditional estate agency. The homeowner was responsible for the creation of their own particulars and the management of viewings; for the sum of £199. Vendors were presented with a For Sale board but not much else. The more cynical amongst you may think that this is pretty much the norm for many estate agents in the NP44 postcode and beyond… The venture came to a rather swift end when the now defunct Office of Fair Trading deemed Tesco’s service to come under the qualifying criteria of an estate agency and was thus subject to the Property Misdescriptions Act (1991). Cue the closing of Tesco Property Market. Fast forward to 2016 and Ms Platt is urging estate agents to adopt similar practices to the entity that is now responsible for part of her salary. 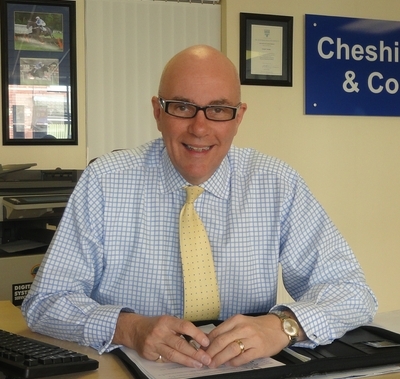 Forgive me for my naivety, but as regular readers of the blog will attest to, here at Cheshire & Co, we never forget that it is ALL about the customer, the client who has asked us to market and sell their property. Without the said customers, there is no business. Ms Platt elaborates further when she speaks of how at Countrywide, their customers don’t look at them and compare them to other estate agents but to other retailers, just like Tesco. Mmm. Fair enough, comparing the country’s largest greengrocer with the country’s largest estate agency does have a common theme in the size of the entity in question, but the last time that I looked, retailing was the concept of buying something at one price and selling it on to another party for a higher price, thus creating a profit. I fail to see how this segues with being seen as customer focussed. Of course, every agent is trying to obtain the best possible price for their client and this may well involve the vendor making a profit on a property that they purchased when the top level of football was the First Division; but equally, it may not. Telling a vendor that their property is worth significantly more than it actually is in order to gain the instruction is straying back into the territory of Tesco Property Market and property misdescriptions. This is as far removed from being customer focussed as you can get. You know who you are.